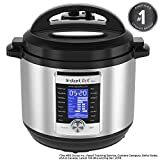 Instant Pot is obviously one of the top slow cooker and pressure cooker brands out there, and the Instant Pot Ultra 10-in-1 Multi-Use Programmable Pressure Cooker is the best model the company makes. 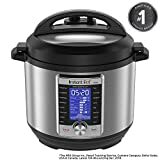 As you might have assumed, it’s also the most expensive model available from Instant Pot. That’s why discounts are always important to take advantage of, and Amazon’s current sale matches the biggest discount of the year so far on the 6-quart model. It’s also the first discount of the year on the 8-quart model, but these discounts won’t last long.